We have seen a version of Roomba Pac-Man before, now a group of developers have made a full sized version of Pac-Man using five Roomba vacuums. 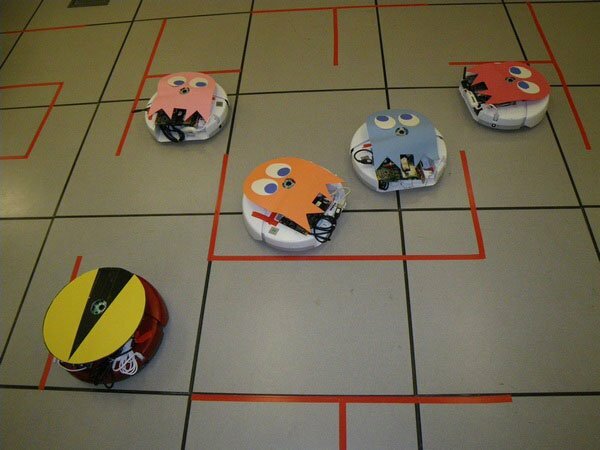 The Roomba Pac-Man moves about the floor picking up little white squares, and tries to avoid Inky, Pinky, Blinky and Clyde until he eats a power pellet, check out the video of it in action. Very cool, it certainly looks like a lot of fun, and apparently the developers created the Roomba Pac-Man Game to demonstrate their unmanned aerial system suite which is designed for guidance of air born vehicles.